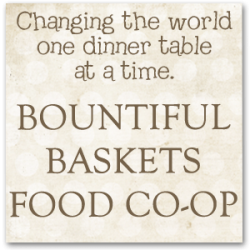 I have been exploring uses for my bag of wheat berries that is living in my pantry. I had a major risotto craving so I thought I would try to sub the wheat berries in for the rice. This recipe turned out really comforting and rich like traditional risotto. I really liked how the wheat berries made it a little chewy. 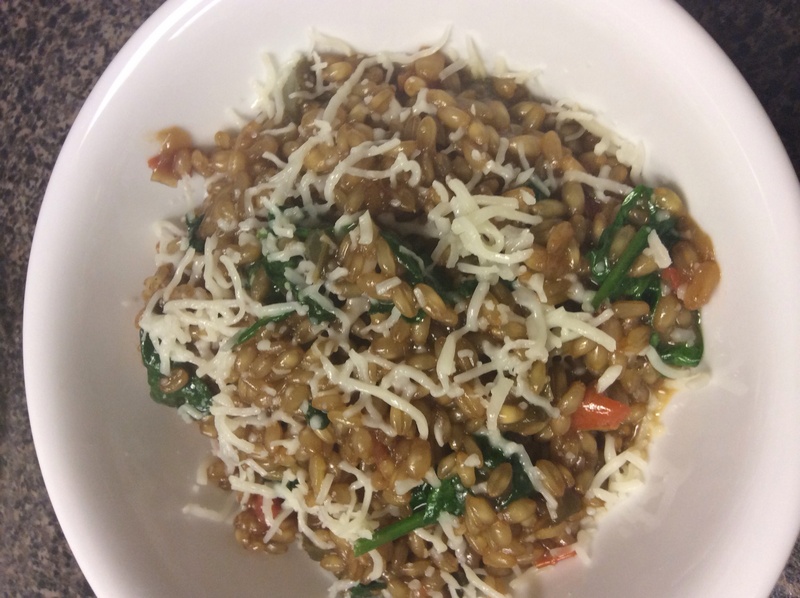 The wheat berries take a long time to absorb all of the liquid so this is much more forgiving than making risotto with arborio rice – I could walk away and get work done without worrying about it sticking to the pan. The other great thing about this recipe is that you can throw a variety of different vegetables in and it would still be fabulous. Soak the wheat berries in water overnight to make the cooking process a little faster. Pour your stock into a saucepan and warm it on medium. In a separate pan (I used a really huge skillet) sauté your garlic, onion, celery and bell pepper until they are soft and fragrant. Drain the wheat berries and pour them into your skillet. Cook them for a minute to dry them a little bit. Pour the wine in and cook until the liquid is absorbed. Add the stock, 1 C at a time, to the wheat berries. With each addition, allow the stock to absorb completely. When you add the last cup of liquid, also add your tomatoes. Once all the stock has been added and absorbed, mix in the mozzarella and the spinach. Allow the spinach to wilt and the mozzarella to melt. Serve with a sprinkle of cheese (mozzarella or parmesan). Next Next post: A Visit to the Tropics…Via Cake!